(SAN FRANCISCO) — ClimateWorks Foundation announced today that outgoing California insurance commissioner Dave Jones has been appointed a ClimateWorks distinguished fellow. In his eight years as California’s Insurance Commissioner, Jones pioneered the oversight of climate risks in the insurance industry and led the development of a new platform, the Sustainable Insurance Forum, for the global regulatory community to share tools and approaches. A respected financial supervisor and leading authority on climate risk and financial markets, Jones will be providing expert input to the Climate Risk Analysis, Disclosure, and Supervision (C-RADS) initiative which is part of the Sustainable Finance portfolio at ClimateWorks. In addition, Jones will be establishing a new initiative on climate risk with the University of California, Berkeley, School of Law. Additional details about that appointment will be released by the University this week. The C-RADS initiative addresses the failure of capital markets to adequately account for the long-term physical, legal and transition risks of climate change. By supporting the growing appetite for climate risk analysis and financial disclosure from the finance industry and its regulators, the C-RADS initiative aims to sensitize the financial system to carbon exposure in investment portfolios and promote reallocation of capital to achieve global decarbonization. 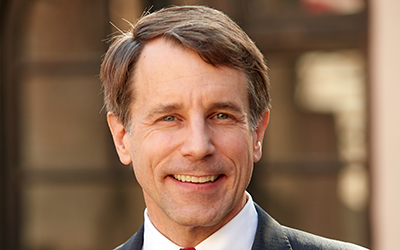 Jones formerly served as California Insurance Commissioner from 2011 to 2019 and was recently appointed to the Governor’s Commission on Catastrophic Wildfire Cost and Recovery and Senior Director for Environmental and Social Risk with the Nature Conservancy. He served as a member of the California State Assembly from 2004-2011 and the Sacramento City Council from 1999-2004, and during the Clinton administration, he was appointed as a White House Fellow and later served as counsel to U.S. Attorney General Janet Reno. ClimateWorks helps foundations and climate leaders come together to be more strategic, efficient, and effective in their response to global climate change. We are a collaborative team of researchers, strategists, and grant-makers committed to our mission of mobilizing philanthropy to solve the climate crisis and ensure a prosperous future for all. Since 2008, ClimateWorks has provided $1B in grants to organizations around the world focused on solving climate change. For more information about our programs, grantmaking, and partnerships, visit www.climateworks.org.